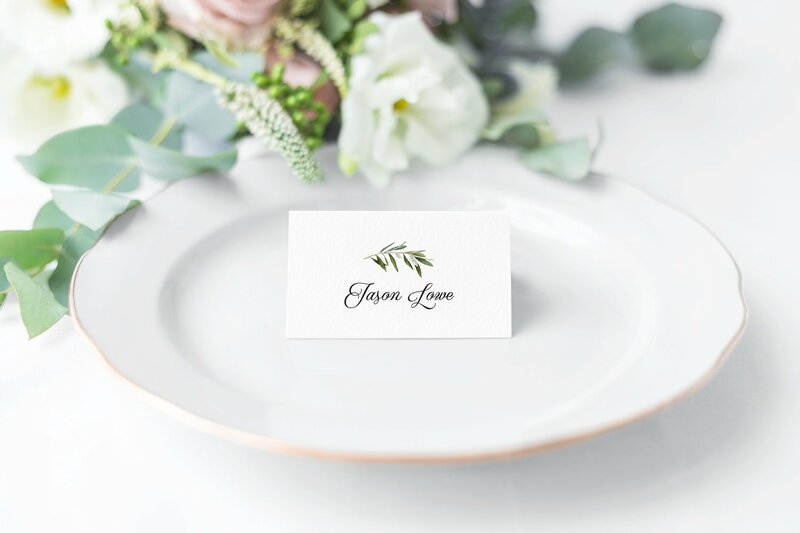 Make your wedding cohesive with this Eucalyptus place card. Print & cut at home or have us do it for you! Upload excel file with names in one column. Please note that pricing is per piece. Please allow 2 weeks for Print & Cut option. Specs: 2x3.5 inch folded, printed on 110 lb white paper.